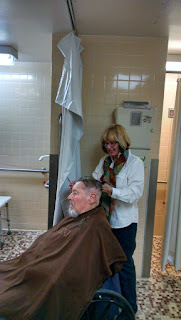 Tammy Poole and her husband, Scott Poole, gave free haircuts to veterans along with other North Avenue Salon stylists. On Monday, Tammy Poole, owner of North Avenue Salon , along with her husband, Scott Poole (a barber) and several North Avenue stylists, including Anis Pretot and Cindy Loos, gave out free haircuts to 37 veterans at the Fort Thomas campus of the Cincinnati VA Medical Center. 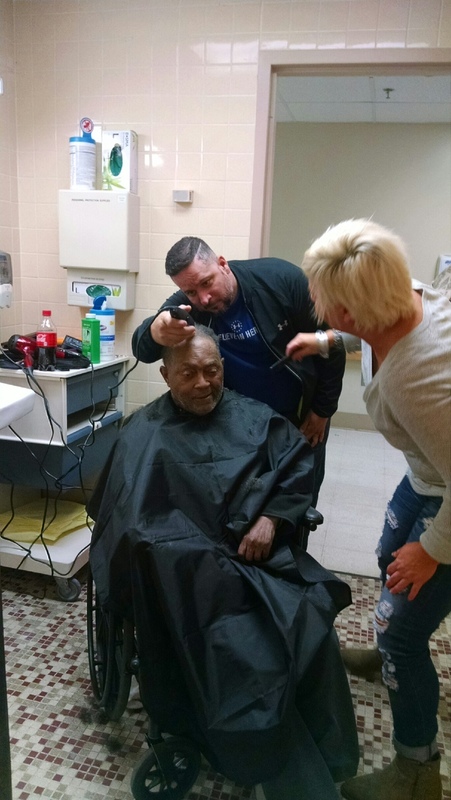 "My husband, who also served, said we should give free haircuts to military people who have served this country," Poole says. 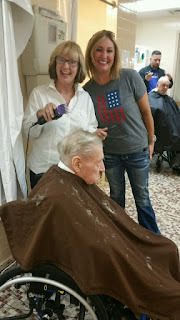 "So I called the VA in Fort Thomas and asked if we could give back by giving free haircuts and they were very happy for us to do that for them." Upon arriving the veterans who wished to participate were already lined up. 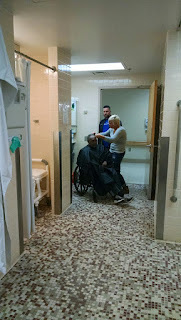 Most requested the classic buzz cut, so while the work was fast, it was still impactful. "I always try to give back to the community by either giving donations to all the activities that are going on in the community and giving to the schools for the sports programs," Poole says. "But going there and listening to them and their stories and what happened to to them during the time they served—there's nothing better." 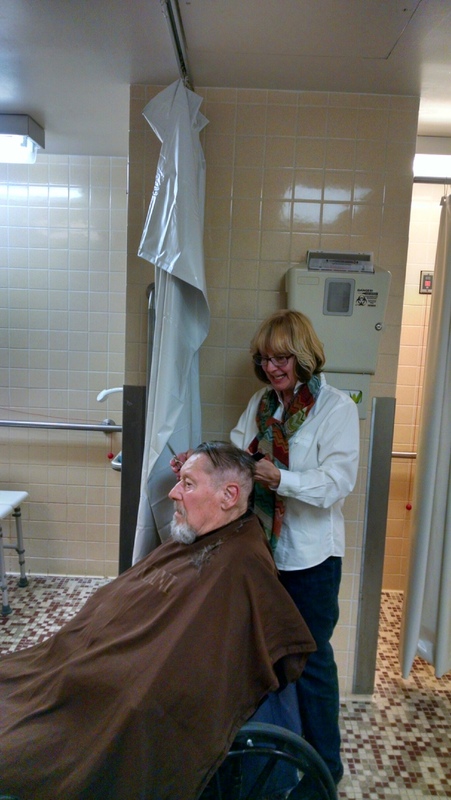 Poole hopes to continue providing free haircuts at the VA Hospital for veterans throughout the year. 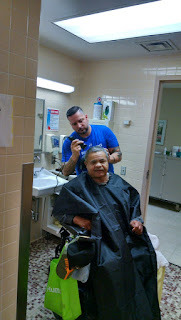 Her husband would like to do the same, providing free shaves as well. "I think we all left there feeling good about how we made them feel," Poole says. "Seeing the smiles on their face and making them feel better, too. 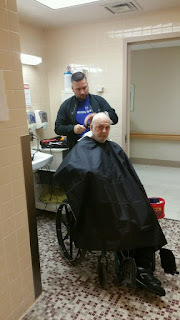 I would love to keep doing this all year long."